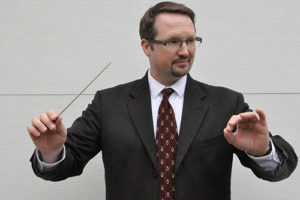 Cameron May is the Music Director of SOGO and a Music Professor at South Puget Sound Community College. Though a native of Portland, Oregon, Mr. May came to Olympia from Champaign, Illinois, where he was Music Director of the Illini Strings at the University of Illinois. 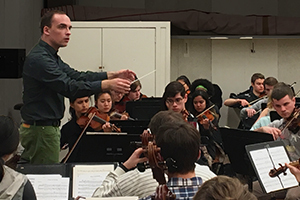 Mr. May’s guest conducting appearances include engagements with the University of Illinois Chamber, Philharmonia and Symphony Orchestras, the University of Colorado’s Pendulum New Music series, the Portland Festival Symphony Orchestra, and the Metropolitan Youth Symphony Orchestra. Mr. May received a Bachelor of Music Education degree from the University of Colorado Boulder and a Master of Music degree in Orchestral Conducting from the University of Illinois at Urbana-Champaign. 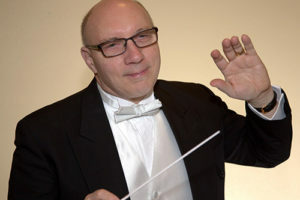 His additional conducting study includes masterclasses and workshops in Colorado, Illinois, Ohio, Texas, and Bulgaria with pedagogues such as Mark Gibson, Jeffrey Grogan, Gary Lewis, Larry Rachleff, Donald Schleicher, and Osmo Vanska. As a violinist, Mr. May studied with William Hunt, Cynthia Raxter, and Charles Wetherbee. Greg Allison received his B.A. and M.A. in Music Education from Western Washington University where he studied trumpet with the late William D. Cole. Mr. Allison has taught instrumental music in the Olympia School District for nearly 40 years. His bands have been chosen to perform at the State and Northwest Music Educators’ Conference and the Western International Band Clinic. Mr. Allison has performed in the Northwest Wind Symphony, the 22nd Ave Dixieland Band, the Tacoma Concert Band, and the Evergreen Brass Quintet. He has been a guest adjudicator, clinician, and guest conductor for state and regional festivals and conventions including the Mid-West Band and Orchestra Clinic in Chicago. He has served on the Washington Music Educator’s board of directors, managed WMEA High School and Junior All-State, and was a recipient of the WMEA Teacher of the Year for middle-level education. In 2014, he was inducted into the WMEA Hall of Fame. Jennifer Marin is a respected, collaborative, and innovative music educator with nearly 20 years of small-schools experience. She is the Band Director and elementary Music Specialist for the K-8 Griffin School District outside Olympia. 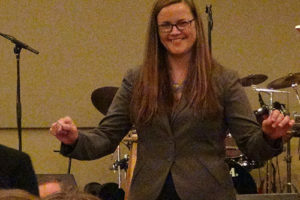 A long-standing WMEA member, Jennifer has presented at state and regional conferences, presided over conference sessions, served as conductor for the Centralia Community College Orchestra, Student Orchestras of Greater Olympia Debut Orchestra, performed with the Northwest Wind Symphony, South Sound Community Band, and served as Secretary/Treasurer for the Chinook Region Music Educators Association for 4 Years. Jennifer holds a BA in Instrumental Music Education at Pacific Lutheran University and has engaged in graduate studies at Southern Oregon University’s American Band College. She is a Certified Orff instructor for levels 1 through 4 and has a small private studio for flute. Outside of music education, Jennifer is actively involved and volunteers weekly as part of the Thurston County 4-H Dog Project, serving as a club leader and assistant superintendent. She also enjoys painting, sketching, photography, and hiking. Travis Sipher is the orchestra director at Capital High School and Jefferson Middle School in the Olympia School District. He earned his degrees in Cello and Music Education from Western Washington University. He served as assistant conductor of the Eugene Community Orchestra in Oregon and previously worked with SOGO’s POGO program at the Boys and Girls Club. 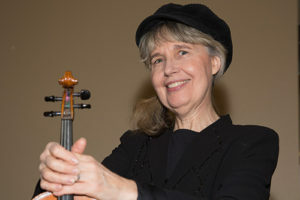 Elizabeth Ward received a Bachelor of Arts degree from the University of Washington and a Master of Musical Arts degree from Yale School of Music. Ms. Ward is a former member of the New Haven Symphony, Pennsylvania Ballet Orchestra, Pennsylvania Orchestra, Philadelphia Opera Orchestra and Young Audiences Inc., of Philadelphia. Returning to the Northwest, Ms. Ward founded the Evergreen Brass Quintet, well known for its outstanding educational presentations. As a studio teacher Ms. Ward’s students have consistently received awards on the local and national levels. 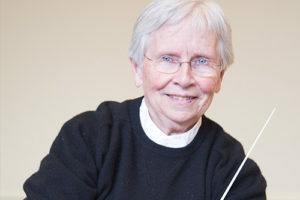 Ms. Ward is Assistant Conductor of the Tacoma Youth Symphony’s Debut Orchestra, Conductor of the Tacoma Youth Symphony Orchestra’s Brass Choir and Chamber Winds. Mary Jo Knesal Rydholm teaches in the Olympia School District and is a Nationally Certified Music Teacher. She has served as Concertmaster for several symphony orchestras in Washington State. An avid chamber musician, she completed her Chamber Music Workshop Director Internship under Dr. Valgene Phillips, at Humboldt State University (CA) and has since served as the SOGO Ensemble Coordinator. She also coaches the Conservatory strings. We are sorry, but the Chamber Ensemble program is temporarily inactive until further notice.